You can see this along Jalan KK Bypass near Bulatan Capital. 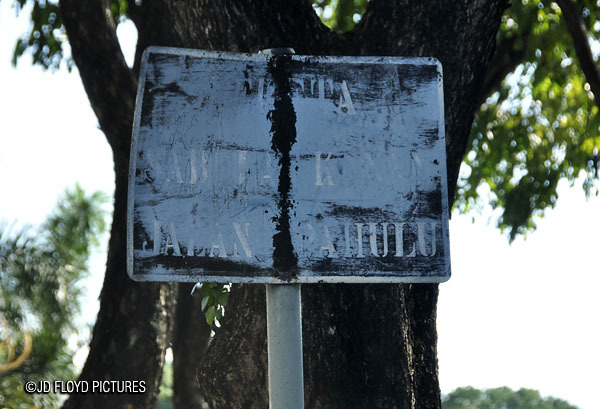 This road sign is still in use today and you can stop by to have a clearer view of the faded alphabets. 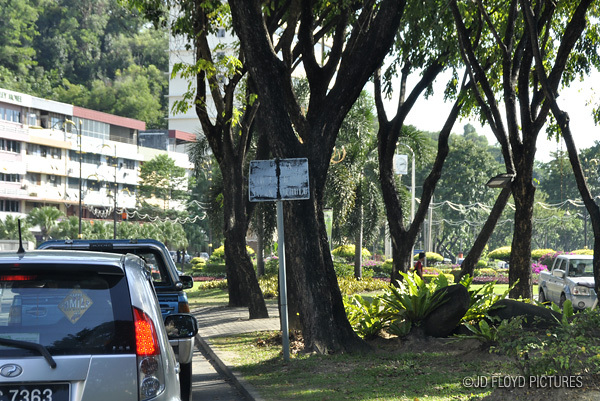 "KERETA SABLLA KANAN JALAN DAHULU"
English: "GIVE WAY TO THE VEHICLES FROM THE IMMEDIATE RIGHT". i think that is an old signboard. it could be 30 years old or more.. because my late father used to spell in 'funny' words also but when I watch old malay film like P-Ramlee, they are still maintaining the spelling. @Joanne Juend. Right. But in that case the signage needs to be tagged 'archive' or 'retired' or something rather than leaving it as 'working'.